Discarded fishing nets contribute to 10% of the plastic pollution in the ocean. That’s a sobering fact. Sustainable manufacturer Bureo is tackling this problem head-on through its Net Positiva recycling program. In addition to producing skateboards made from recycled fishing nets, the company has also turned its attention to the iconic game of Jenga. Each copy of Jenga Ocean is fabricated from over 25 square feet of discarded netting, allowing gamers to hone their block-stacking strategies while doing good for ocean animals. The need to “Save the Animals” is reinforced through special-edition rules. The game’s set of 54 blocks also features illustrations of threatened marine animals. As you might expect, Jenga Ocean’s packaging is also 100% recycled and recyclable. 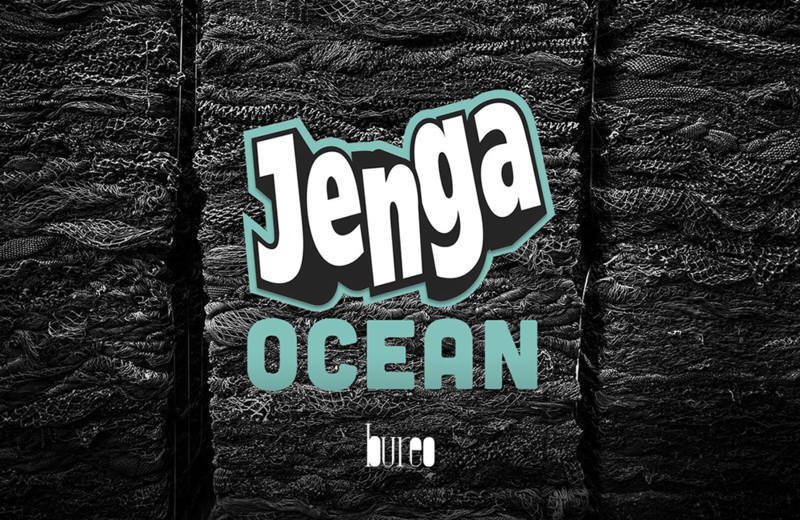 Jenga Ocean is available for purchase online at the cost of $49.99 USD. Everyone's favourite modern Stone Age family is now immortalized in the LEGO Ideas 21316 The Flintstones set. This new and nostalgic 748 piece-set features The Flintstones' house and iconic family car, the footmobile. Solving crimes since 1930, fictional super sleuth Nancy Drew has been turned into a 1000-piece puzzle by Canada-based Cobble Hill Puzzle Company.